How much is Angela Cartwright Worth? 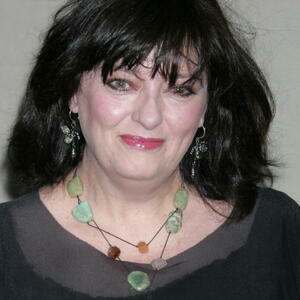 Angela Cartwright Net Worth: Angela Cartwright is an English-born American actress who has a net worth of $5 million. Angela Cartwright was born in Altrincham, Cheshire, England, United Kingdom in September 1952. She is best known for playing the role of Brigitta Von Trapp in the movie The Sound of Music. Her first role came in the movie Somebody Up There Likes Me in 1956. From 1957 to 1964 Cartwright starred as Linda Williams in the television series Make Room for Daddy. She starred as Penny Robinson in the TV series Lost in Space from 1965 to 1968. Cartwright reprised the role of Linda Williams in the series Make Room for Granddaddy from 1970 to 1971. In 1965 she starred as Brigitta in the movie The Sound of Music. Cartwright co-writes and publishes a bi-annual journal called Pasticcio quartz. She has also authored five books. Cartwright has also appeared in episodes of the TV series Airwolf, High School U.S.A., The Love Boat, Logan's Run, Adam-12, My Three Sons, Alfred Hitchcock Presents, and The Lucy-Desi Comedy Hour. She last did voice work in 2009 and 2010.